The 2017 vintage has confirmed to be a good one for Santa Eurosia's Valdobbiadene DOCG sparkling wines. 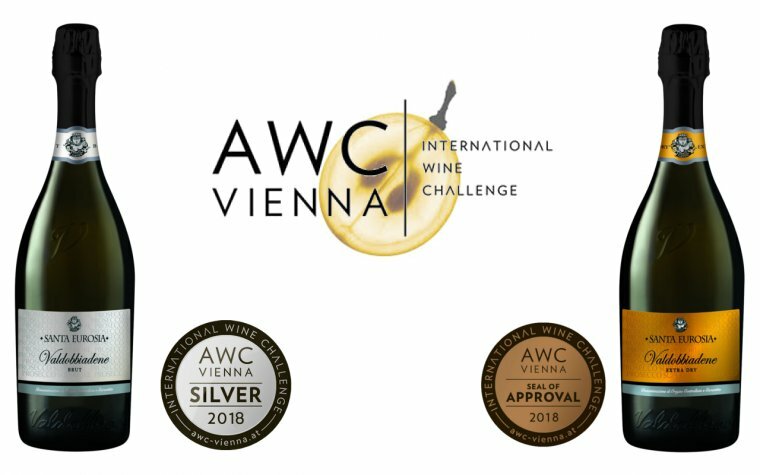 Indeed, our company has faced the challenge of one of the most important international wine competitions, that is the 'AWC Vienna awards' 2018. We have brought two of our most iconic wines: Valdobbiadene DOCG Prosecco Superiore Brut and Extra dry, harvest 2017. In that edition, 1,716 wine producers, from 39 countries in the world, have competed, with 12,402 wines in total. After the awards ceremony on October 28th, Santa Eurosia obtained an award for both the wines presented in the competition: the Valdobbiadene DOCG Prosecco Superiore Brut has won the Silver Medal with 89.3 points, while the Extra dry has won the Seal of Approval with 85.8 points.